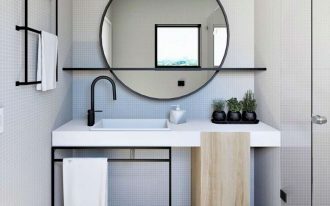 The trend of floating vanity has been rising in 2018. And although it doesn’t always mean that the it will still stay in 2019, it is worth to see the gorgeous ones in case it will still be the trend. And here below are some of floating vanity in in the powder room that you will love, will it be the trend or not. 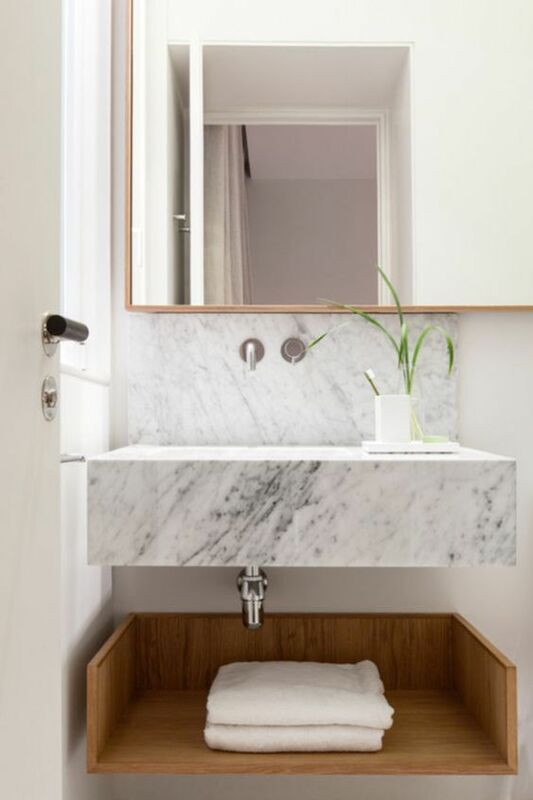 A simple and minimalist powder room can make the small space looks great. With neutral palette it can make a room looks spacious, just as seen in the picture. 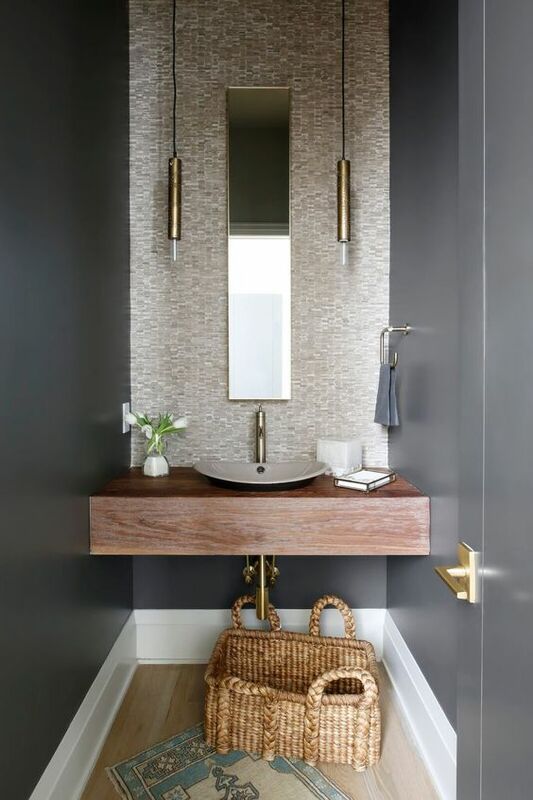 However, putting an elegant touch like golden pendants, faucet, holder, make the room has elegant vibe. The long and thin lines are adorable. 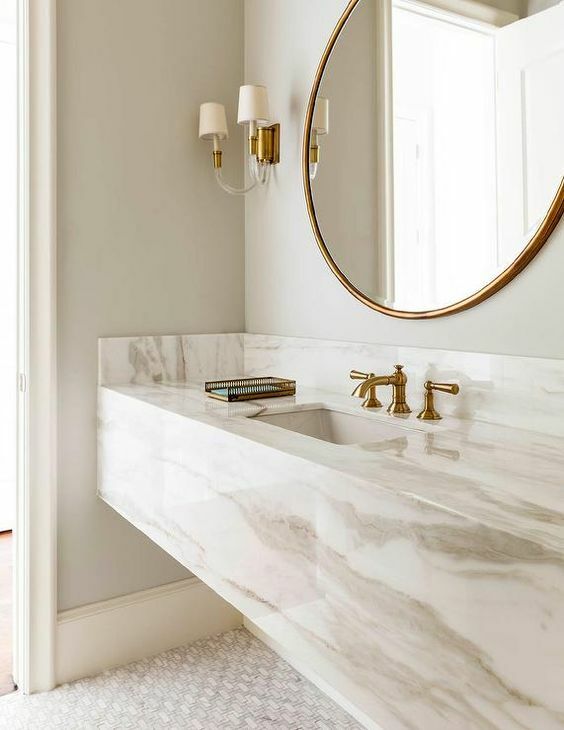 An interesting sight is seen in this neutral colored powder room. 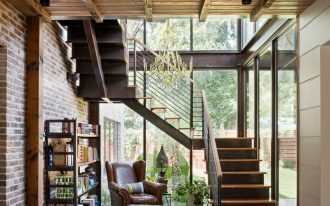 While using neutral color to make it easy on the limited space, this one makes the room more interesting in details, this one here plays with geometric lines. 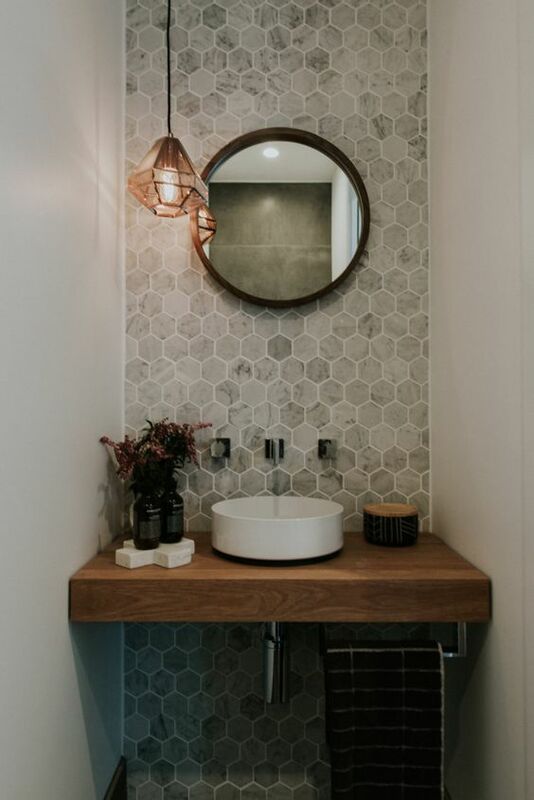 Seen in this one is round mirror that matches round sink in a square wooden floating vanity upon an accent wall with hexagon tiles. And all of these are lighted by a prism pendant. Often times, a vanity holds many thing on its top. 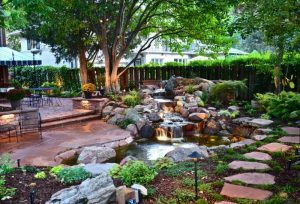 It can look cluttered. 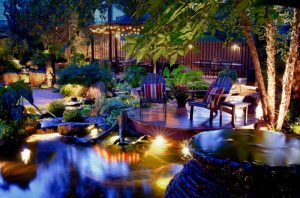 However, with the right storage to keep everything inside tidily, that will not be any problem. And if the storage comes in floating drawers like this one here, it look solid and gives more texture and pattern to the room. A lovely and interesting sight is displayed in this vanity. 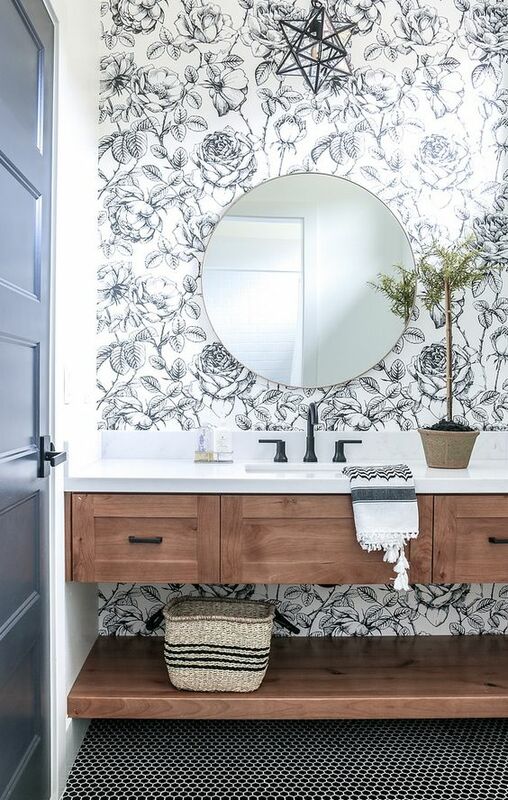 Upon the monochrome flower wallpaper, wooden drawers with white counter top looks beautifully match the floating shelves under it. 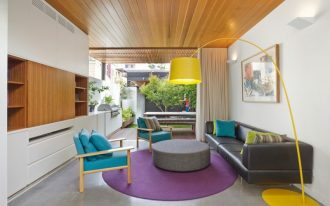 Putting altogether, the room gives a pretty and natural warmth. Bringing out natural feeling with white marble on the floor and wall has made this one especially beautiful. 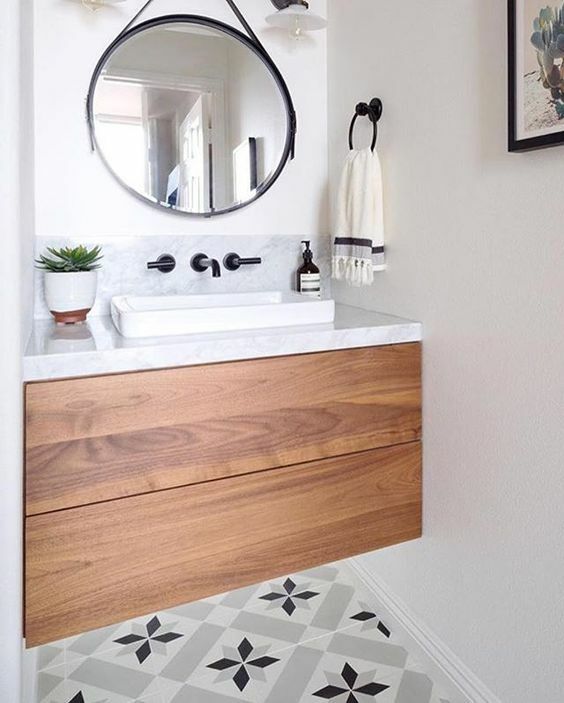 The white floating vanity looks just in its right place with its white sink. And this white hue is matched with golden light from the mirror frame, faucet, bulb sconce, ceiling light, and LED on the ceiling line. Black and white are a great color for a small space. Together, they accentuate each other and make the room feels balanced. 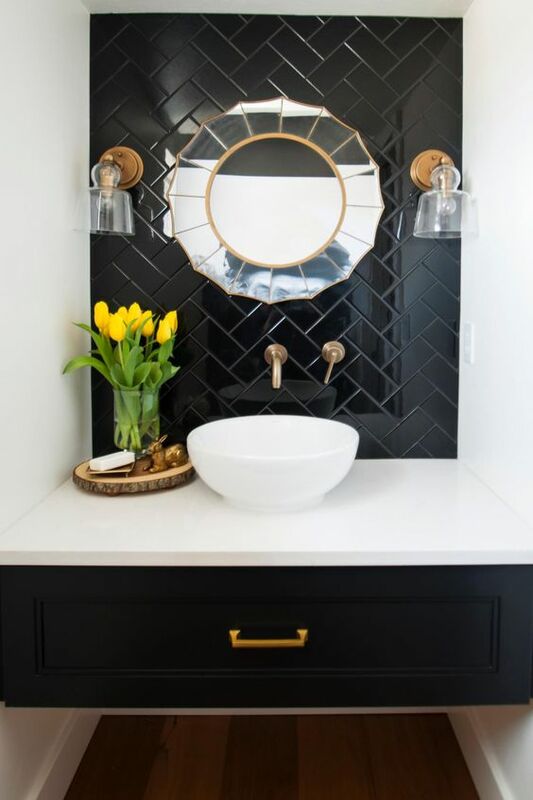 In this one, the black accent tiles with herringbone pattern is matched with black floating drawers under the white top and sink. And to the final touch, a sun-shaped mirror is shown matched with glass sconces. 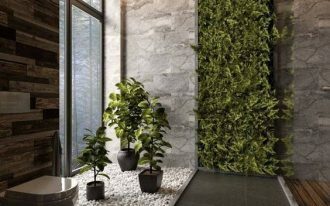 This one here also brings an interesting look with the accent wall on the right side, unlike those who love to put accent wall as the centerpiece. 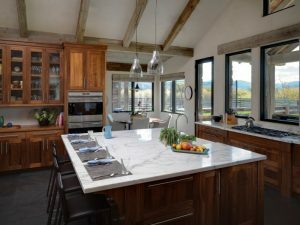 And not only that, the white marble counter top is sided to the right to show the wooden surface on the left. And not only that, the golden pendant that in line with the faucet and towel holder is more in the left side. To have a neutral and minimalist look sometimes means that you have to put a distinctive touch to the picture. 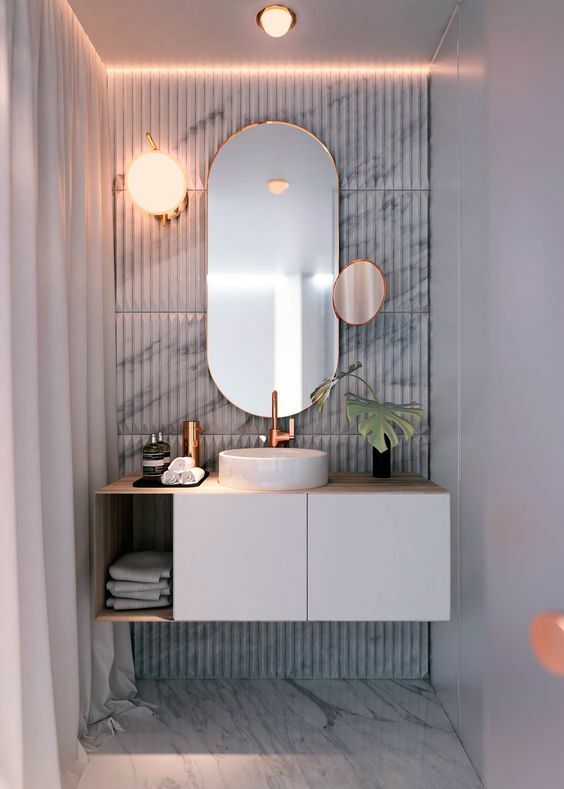 This one here brings a natural and attractive floating tray under the marble vanity. 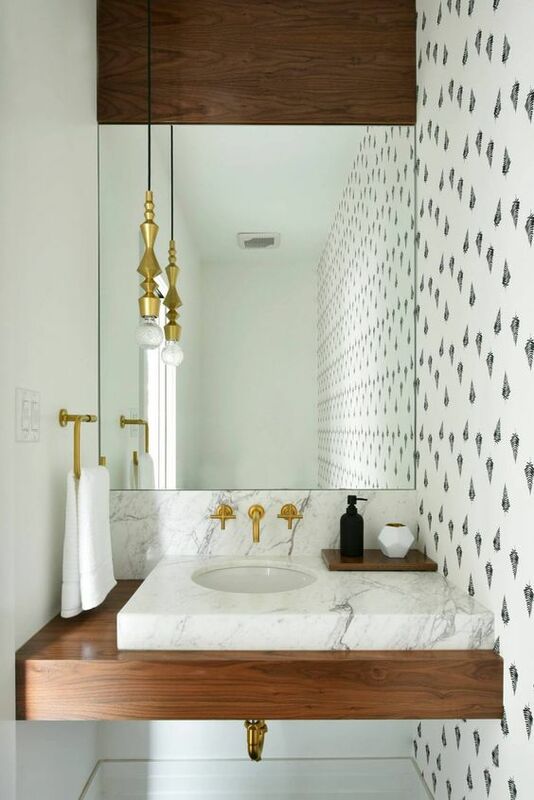 Adding the same feature as the wall is a common practice yet it always looks pretty, especially when it includes a beautiful marble. 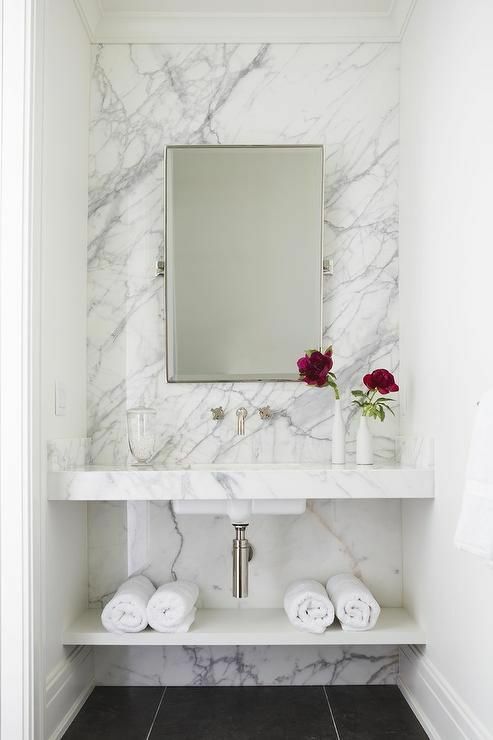 Similar to the previous one, this one too enhances the vanity with white marble vanity. To make it more elegant, golden lines are added to the sight.